This book teaches you how to write parallel programs for multicore machines, compute clusters, GPU accelerators, and big data map-reduce jobs, in the Java language, with the free, easy-to-use, object-oriented Parallel Java 2 Library. The book also covers how to measure the performance of parallel programs and how to design the programs to run as fast as possible. 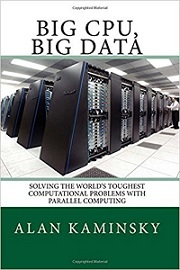 To study parallel programming with this book, you'll need the following prerequisite knowledge: Java programming; C programming (for GPU pro grams); computer organization concepts (CPU, memory, cache, and so on); operating system concepts (threads, thread synchronization).